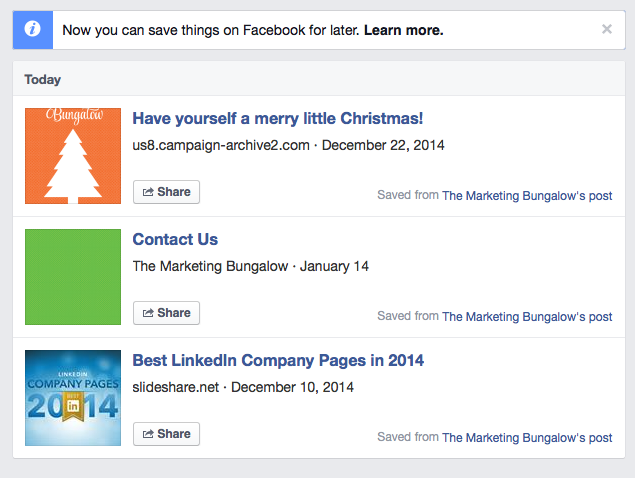 You can now save (and effectively bookmark) your favourite links and multi media content from any Facebook post so you can go back to them later. This is a great feature for both personal and business use. How to in three steps! 1. Select the arrow drop down featured in the top right hand corner of the post. 2. 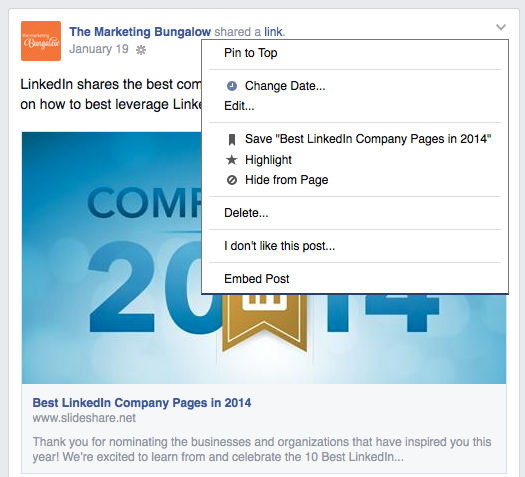 Click the ‘save this link’ or ‘save title of content or media’ option (in this case the selection will be; Save ‘Best LinkedIn Company Pages in 2014’). 3. 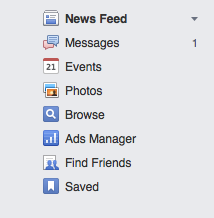 To view your saved post content simply select the ‘Saved’ menu option from the left hand navigation on your Facebook ‘Home Page’. Marketing LOVE is in the air!